Renowned Dr. Paula Meier Speaks at Central Coast Breastfeeding Coalition Symposium May 19.
speaks on Breastfeeding the Premature Infant: Bridging the Gap from Hospital to Home. Central Coast Breastfeeding Coalition will hold a day-long educational conference on May 19, 2017, at the Cliffs Resort in Pismo Beach. The conference features the renowned research, professor, speaker and author Dr. Paula Meier. The subject of Dr. Meier’s presentation is Breastfeeding the Premature Infant: Bridging the Gap from Hospital to Home. Dr. Meier is Director for Clinical Research and Lactation in the neonatal intensive care unit at Rush University Medical Center in Chicago and is a professor of Women, Children and Family Nursing as well as a professor of Pediatrics. Dr. Meier serves as a member of the International Society for Research in Human Milk and Lactation and of the Health Advisory Council for La Leche League International. 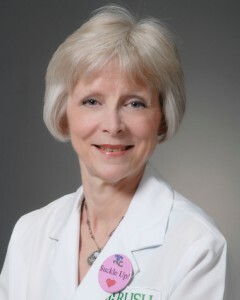 She has conducted numerous externally-funded research and demonstration projects and currently, serves as the principal investigator for a 5-year, $2.76 million, NIH-funded study, “Health Outcomes and Cost of Human Milk Feedings for Very Low Birth Weight Infants.” Dr. Meier has published over 70 peer-reviewed manuscripts. Central Coast Breastfeeding Coalition programs have achieved high positive impact on our San Luis Obispo County Community. SLO County is now ranked fourth in California for exclusive breastfeeding at hospital discharge, up five ratings from ninth place last year. Eighty-eight percent of all babies born at a hospital in SLO County were exclusively breastfed. Sierra Vista Hospital just announced the attainment of their “Baby Friendly” Certification. With this certification, all three hospitals that provide maternity services in the San Luis Obispo County are now “Baby Friendly” certified. French Hospital Medical Center was the first to attain this certification and was quickly followed by Twin Cities Community Hospital. The “Baby Friendly” initiative encourages and recognizes hospitals and birthing centers that offer an optimal level of care for breastfeeding mothers and their babies. Based on the Ten Steps to Successful Breastfeeding, this prestigious international award recognizes birth facilities that offer breastfeeding mothers the information, confidence, and skills needed to initiate and continue breastfeeding their babies. Breast milk is not only nourishment but is also medicine for infants. It contains antibodies, disease-fighting stem cells, anti-virus, anti-allergy, anti-parasitic, and anti-cancer properties that provide both short and long-term protection. Breast milk contains growth factors, enzymes, hormones, probiotics and other nutrients that help infants to grow and to develop optimally. Breastfeeding provides benefits to the mother with increased bonding with baby, better healing post-delivery, less incidence of postpartum depression, and decreased likelihood of developing breast or ovarian cancer. Center for Family Strengthening provides non-profit fiscal management services for the Central Coast Breastfeeding Coalition. In 1988 the San Luis Obispo County Board of Supervisors designated Center for Family Strengthening (CFS) as the self-governing entity responsible for local efforts to prevent and respond to child abuse and neglect. Center for Family Strengthening is dedicated to strengthening families through education and advocacy. Center for Family Strengthening partners with family support organizations in SLO County to provide resources to families in need, protect children from abuse and neglect, and ensure that strong families are a community priority. To donate or learn more about Center for Family Strengthening go to www.cfsslo.org or call 805 543-6216.